College of Business has raised $ 35,284 from 132 gifts! Support the College of Business on #MaryWashDay! The College of Business offers programs at the graduate and undergraduate levels. 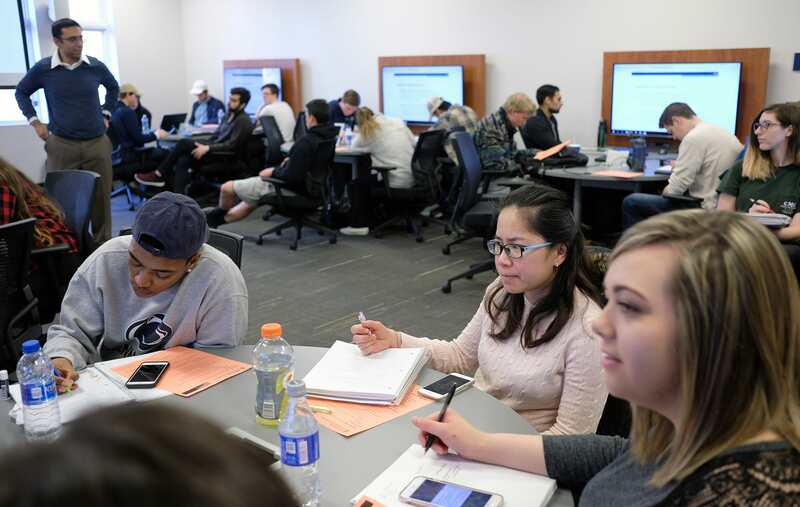 The undergraduate program builds on the Mary Washington tradition of a well-rounded education based in the liberal arts, with small classes that encourage direct interaction with expert faculty. As other schools of business are just discovering the value of a solid grounding in the liberal arts for tomorrow’s leaders, UMW has a long history of teaching business-related subjects, dating back to 1919. Our program has been, and will remain, firmly rooted in its liberal arts foundation. 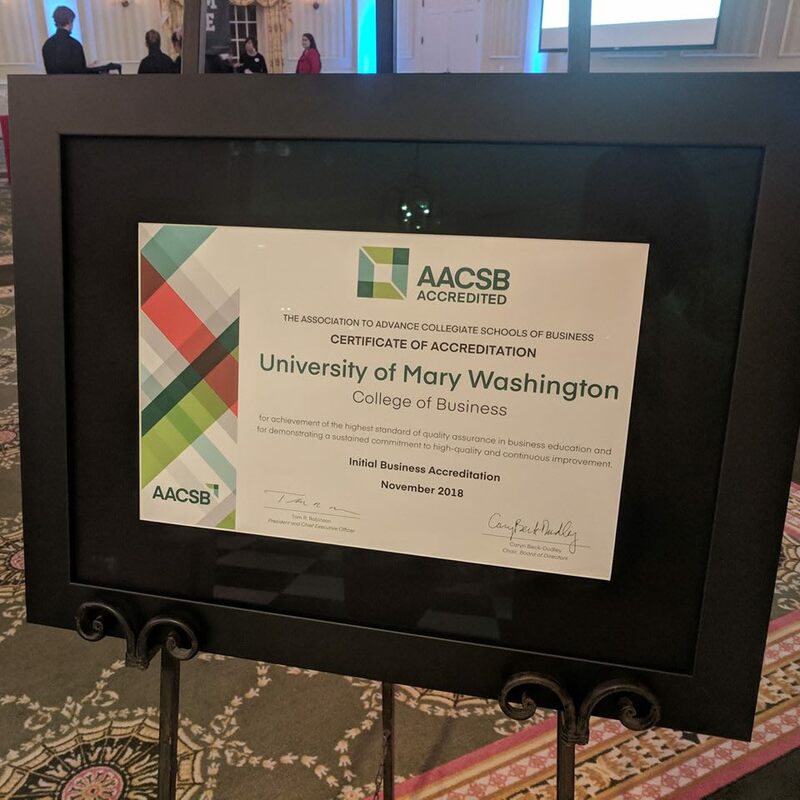 We offer solid academic core curricula and innovative programming designed to meet the changing needs of the next generation of business leaders in the Fredericksburg region. Professional development programs, including speed networking, resume workshops, and "dress for success" events that will prepare our students to stand out in the workforce. Galen deGraff was a professor who taught business, but primarily finance, at UMW for 21 years beginning in the early 1990’s. Dr. deGraff’s teaching style and rigor had a lasting impact on students, propelling several to great successes in professional careers. Because of the impact Dr. deGraff had on them, a group of alumni aims to create an endowed scholarship in his name. An ancillary benefit of the scholarship is that when the endowment reaches $50,000, a classroom in Woodard Hall can be named for Dr. deGraff. This is the chance for you to help recognize the impact Dr. deGraff may have had on you.